I have earlier blogged about setting up a dedicated image server for Sitecore here. The implementation required some customization of the LinkProvider, but from Sitecore 6.3 it is possible to achieve the same just using configuration. A dedicated media server can be used to serve media on a separate URL, so that you can optimize performance due to limitations on the amount of connections the browser can open to the domain, which I also described in the last post. Further it can be used to optimize your server for handling media and supporting a CDN. That my content management server serves images in the normal way, so that the editors can insert, alter and preview images without having to publish. 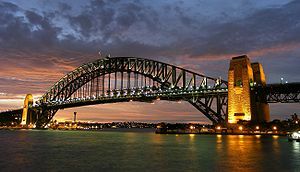 On my content delivery servers I want my images to be served by the image server. The first goal is easy. I just leave every configuration to the standard. This means that the content management server serves media itself. 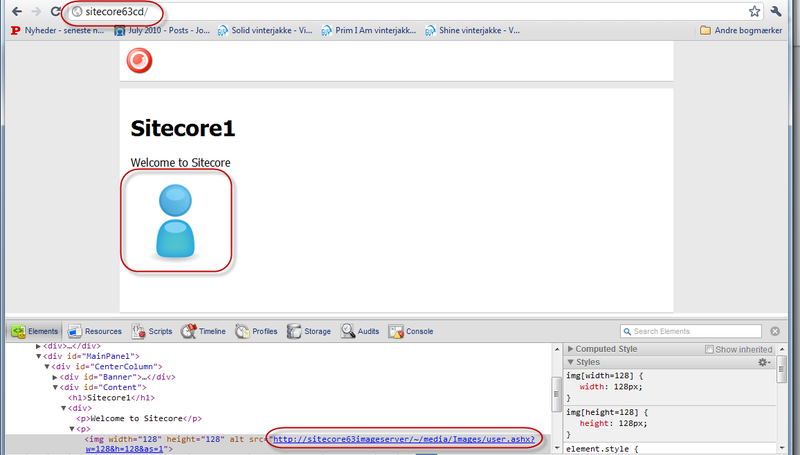 So in this scenario the html is delivered by http://sitecore63cd and the image is served by http://sitecore63imageserver. In the content management environment, the media is served locally. Now this is a lot easier, than the customization you needed in older versions of Sitecore. If you want another media prefix then the standard /~/media, you also need to make the media server handle these requests as media. This is done by adding the prefix to the <mediaPrefix> element in the web.config and add the prefix to the customHandlers section in the web.config. Maybe it is just me, who never found it, but after a support request I was made aware of a feature in Sitecore, I have missed for years. 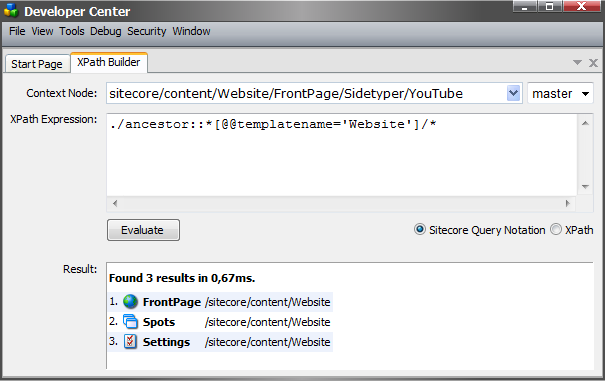 I thought I’d just share it, if there were any others like me, who wasn’t aware of the great Sitecore application XPath Builder. Whenever I create a template which uses a Sitecore Query to populate a multilist field with items, I always spend a little too much time figuring out the correct syntax for the Sitecore Query. But no longer… now that I have found the XPath Builder! Yay! What a great tool!